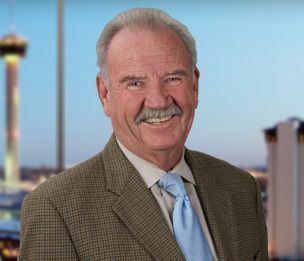 Phil Hardberger is a former mayor of San Antonio, Texas. He took office in June 2005 through May 2009. During Phil’s tenure as San Antonio Mayor, he carried an approval rating of 86 percent and captured 77 percent of the vote during his re-election. He succeeded in extending the mayoral term limits and extended the San Antonio River Walk, including completion of the Museum Reach. He and Nelson Wolff started work on the Mission Reach and, after Hardberger was term-limited out, Wolff, after much work and money, finished it. Hardberger also helped transform thousands of lives with Haven for Hope, celebrated the opening of Toyota’s assembly plant in San Antonio, and was one of the first mayors to provide assistance to the victims of Hurricane Katrina. In recognition of his leadership and foresight in championing quality of life projects, the City of San Antonio named a new major park after him. The 311-acre property is now Phil Hardberger Park. Hardberger was born in Morton, the seat of Cochran County in West Texas. He graduated from Baylor University. After Baylor, Hardberger was a captain in the United States Air Force and piloted the B-47 bomber. His legal career began in Washington, D.C., where he was executive secretary of the Peace Corps and then assistant director of the U.S. Office of Economic Opportunity. After marrying his wife, Linda, and after several years of private law practice, he was appointed Associate Judge and then elected as Chief Justice of the Fourth Court of Appeals. Currently, Hardberger provides counsel to the firm of Dykema Cox Smith in its Litigation, Appellate, Public Law, and Economic Development practices. In addition to his legal practice, he is actively involved in external affairs and community relations. He delivers business “know-how” with a results-oriented style that provides clients and colleagues with vision, creativity, and leadership.